One of the most cherished memories of my childhood, and my father, is the night when I was 12 years old and he let me stay up late to watch Gunfight at the O.K. Corral with him. Burt Lancaster’s turn as the legendary lawman Wyatt Earp was my first taste of the wild west, and I’ve been fascinated by the accounts of antiheroes like him, and Doc Holliday, ever since. There’s something real and true in the moral ambiguity of frontier justice, where things aren’t always so black and white, sometimes even the good guys aren’t so great, and maybe it’s all just a matter of perspective in the end. Red Dead Redemption 2, Rockstar Studios’ latest entry in their beloved Red Dead franchise, nails that truth in a way no other game, in any other genre, ever has. 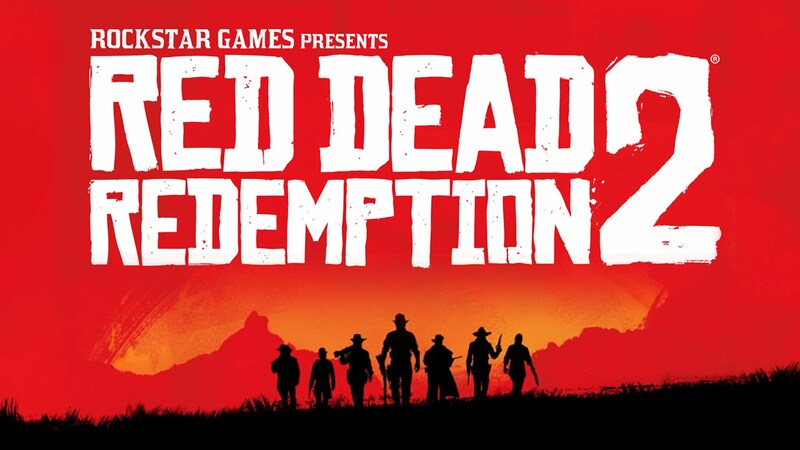 Set in 1899, some 12 years before the events of the original Redemption, Red Dead 2 takes place in a fictional region of the southwestern United States and focuses on Arthur Morgan, the right hand of gang leader Dutch Van der Linde and his band of outlaws. Fresh on the run from a heist gone horribly wrong, our journey begins in the snowy mountains as Arthur and company work frantically to find their lost, heal their wounded, and keep the whole gang moving forward lest the long arm of the law find them, or the gale force blizzard bury them. Throughout this prologue area we learn how to ride, hunt, cook, track, and fight, but mostly we learn about the odd assortment of family, friends and even adversaries that make up the Van der Linde Gang. It’s the kind of group one might expect to collect when living on the edge of both the law and civilized society, where loyalty counts more than anything and a willingness to steal, con or even kill are the only qualifications you need. There are more than a dozen members of the gang, and everyone’s looking to pull their own jobs; Arthur, as second in command, of course gets thrown into the thick of it all time and again. Most of the missions you undertake in Red Dead Redemption 2 revolve around helping other members contribute to the collective survival and prosperity of the gang. Hosea needs your help with a hunt; Javier has an idea for how to rustle some horses and knows just who you can sell them to on the down low; Uncle just wants to sell you bad tips for booze money. Red Dead 2 does a fantastic job of fleshing out each of these characters and allowing you to connect with them on personal terms, rather than simply using them as vectors to point you towards different goals. Over the course of the game I came to greatly prefer working with a select few members of the gang, and found myself avoiding others, based solely on my desire to interact with them. I’d put off doing a big score with Micah just so I could go hang out with Hosea a little more, and often found myself intentionally steering clear of Uncle while in camp just to avoid his beggar’s pitch. It’s rare, for me, that the personalities of NPCs so directly affect the choices I make in a game, but Rockstar invests a lot of time in building these characters into something much more than mission waypoints. One of the reasons Rockstar is so successful in this is that they commit so fully to it, taking all the time they need to let these relationships develop organically. A significant portion of the first 20 hours of game time is dedicated to building bonds within the gang and easing you into the world, and Red Dead 2 has no problem developing, even relishing in, the small moments, not just between characters but between Arthur and the larger world that surrounds him. Everything is so deliberately paced that, at first, it was a bit off-putting. This world is so big, and beautiful, and I wanted to see it all right now, but I was soon forced to realize that this game moves at its own pace and won’t be rushed for anything. Once I learned to relax and soak in all the little details around me, I realized what an intelligent design decision it really was. Instead of becoming bored by the methodical pace, I was seeing, hearing and experiencing things that I otherwise would have completely missed if I’d been able to plow ahead at full speed, only ever mindful of the next objective; an overheard conversation between two other members that became relevant later on, or a potentially good hunting ground I’d want to note on my map for later. The biggest payoff to all these small moments, though, is that it made the big, dramatic moments bigger, more dramatic, and more believable. There’s an authenticity to this world, and the people who inhabit it, that I didn’t think an open world game was capable of, and it’s because Rockstar took the time to lay that ground work. The game isn’t all small moments, of course. There’s work to be done, trains to be hijacked, banks to be robbed, businessmen to be fleeced, and a great big world to explore. Arthur is competent and thorough, but in his particular line of work bullets start flying more often than not and you’ve got to be a crack shot if you want to make it out of most jams. Combat in Red Dead Redemption 2 is an absolute pleasure. An evolution of the cover-based shooting mechanics they’ve been working on since 2008’s Grand Theft Auto IV, with just a dash of Max Payne thrown in for the hell of it, gunplay in Red Dead 2 is fast, brutal, weighty and incredibly gratifying. You’ll start out with a basic assortment of firearms (a revolver, a repeater and a sawed-off shotgun), but even these simple weapons feel satisfying to use; I’m still using the first repeater I acquired, some 50 hours in, simply because I like the way it handles. Once everybody in your way is dead or run off, you’re still not in the clear. While this is the wild west, there’s still law out here and they will inevitably be called in to investigate, assuming they weren’t who you were shooting at to begin with. Depending on the circumstances of your disagreeable encounter, you can bluff investigating deputies by choosing to speak before shooting, using dialogue options to try and persuade them to leave you alone. Failing that (or that simply not being an option in the first place) you’ll get a wanted bounty on your back for the particular state you’re in. Each state tracks bounties separately, much the way games like Skyrim track them separately between holds, meaning that one option for evading the law is simply to flee to another jurisdiction. However, unlike GTA games, your wanted level doesn’t disappear once you have. Bounties remain on your head permanently, and your only option is to pay them off at any post office. Being an outlaw can be expensive, too. Even one moderately big gunfight with the law can leave you with a price of over $200 on your head, and in a game where literally every penny counts, it pays to be discreet at least some of the time. If you’ve been disreputable enough, you’ll even wind up with a Wanted: Dead or Alive bounty, which means that the law will attempt to murder you on sight. It’s a fun mechanic that can change the way you play, simply because you may not have enough money to pay off your bounty in the state where you want to pull a job, so you’ve got to go earn some cash elsewhere before you can get where you want to go. It adds a sense of weight and consequence to your actions, so that you can’t just go around shooting every poor sap you come across. As I mentioned earlier, this is a game that revels in the small moments, and one of the best examples of this is the bond you form with your horse. Unlike other open world affairs with horses, such as Skyrim or The Witcher 3: Wild Hunt, horses in Red Dead Redemption 2 are not interchangeable. Each horse is unique, with their own stats, and their own personal relationship with you. Anytime you acquire/purchase a new horse, your bond with them starts at 1, with a maximum level of 4. At each bonding interval, you unlock perks for that horse, such as the ability to skid, or rear, or recall them from greater distances. Your horse can be trained not to run at the sound of gunfire, or to buck you if they get scared. They can even learn to come galloping to your rescue in the heat of battle. If they like you. You increase your bond simply by doing all the things you would to bond with a horse in real life; cleaning and brushing, feeding, showing affection, and spending time together. There are even special treats you can purchase, such as peppermints, to greatly speed up this process, but mostly it comes down to developing a natural affinity for the animal and its quirks and perks. Some people might find it irritating to always be performing maintenance on a horse, but I took no small joy in keeping my horses well fed and clean, and almost always stopped at the stables when in town to pick up more treats. It is, of course, possible to tame and ride almost any horse in the big country of Red Dead 2, but even if animal bonding isn’t your strong suit there’s still plenty of reason to always keep your own horse close at hand. Only your horse can store and carry your gear, including extra sets of clothing should the weather change suddenly, additional weapons and supplies, your lasso and, of course, your hat. As you and your horse spend time roaming the countryside or galloping away from enemies, you’ll both increase various base stats that determine things such as health, stamina, and your Dead Eye ability, which can be used in the heat of combat to target multiple enemies at once and dispatch them with a flurry of bullets. These base stats are known as your cores. They are represented by icons inside your various meters, and they determine not only the size of your health and stamina meters, but how quickly they drain and refill. Your cores are also affected differently than their corresponding meters, too. For example, getting shot in a gunfight might drain your health meter, but not your health core. Not eating, or getting enough sleep, however, will drain your core, which will affect how quickly your health meter can be replenished. Additionally, any time a meter is drained, you can continue to use up any resources that your core represents, acting as an extension of its corresponding gauge. It all seemed a bit convoluted at first, and too complex for its own good, but it begins to make sense after awhile as an analogue for how our real systems work; we can push ourselves very hard for short periods, and recover very quickly without too much effort, but if we continually punish or neglect our bodies it begins to take a serious toll on our ability to function. The core systems feature of Red Dead Redemption 2 perfectly encapsulates that. It’s not intuitive, but only because no one’s ever really thought to try this before. I have a feeling that will change, though, and we’ll see other games aping this mechanic before long. I could go on about the systems and features of this game forever (honestly, I’ve really only scratched the surface here) but I don’t want to give away too much, because this is truly the kind of game that needs to be experienced to believed. More importantly, it’s no one mechanic or idea that makes Red Dead Redemption 2 so special. What does make it so special, and one of the most memorable games I’ve ever played, is how flawlessly it all comes together to create an experience that encapsulates the human condition in a way few, if any, games ever have. There’s an authenticity to Red Dead Redemption 2, a feeling that you’re actually a small part of a much bigger world, and one that doesn’t necessarily value or desire your presence; something that makes you take comfort in the small part of it you’ve managed to carve out for yourself and want to fight to protect it. Arthur’s story is one of a man who feels civilization closing in on him like a noose around his neck, and he’s not about to let that happen so long as he draws free air. The game is not without its flaws, such as some AI pathfinding issues, a few graphical hitches, and some convoluted menus, but they pale in comparison to the technical and narrative achievement that is on display here. A game of unparalleled scope and ambition, with breathtaking visuals, a broad-ranging but intimate story, and an incredible sense of identity and purpose, Red Dead Redemption 2 will go down as one of the greatest games of the generation, and perhaps video game history.